Hi first of all I am very happy with the e-mail function it is great. 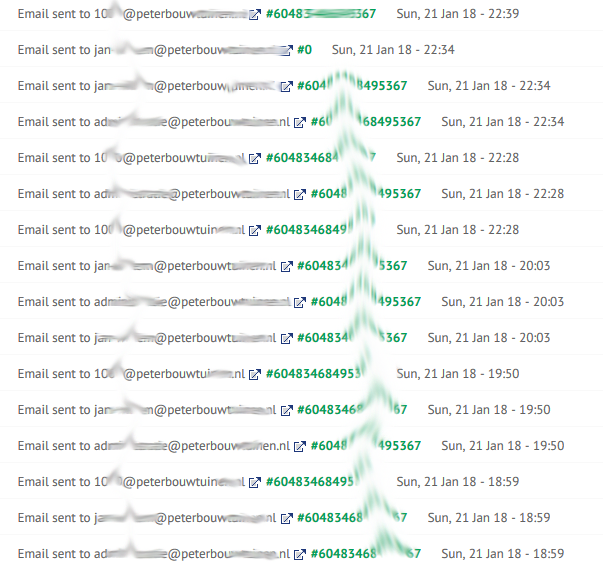 I use the auto responder for 2 generated mailadresses and 1 notifcation e-mail. I setup SMTP with office 365 and test-mail works great. The only problem I have the messages get not all delivered and I don't know why sometimes they get all delivered sometimes 2/3 and sometimes none. * I whitelisted all IP adresses and server according to the faq. * I rechecked my SMTP settings. I test all the time with same e-mail adresses and generated e-mail so I am sure the mail adress is correct and I only use one form to test. A rule is created making sure it is not marked as Spam. I have escalated a ticket to our next level support to see if we can proceed with the further troubleshooting in this case. Unfortunately, I cannot provide any ETA for when this will be addressed, but we will get back to you once we have any updates. We checked our email logs and found that you have an authentication problem. Thanks for the quick and reponse in detail. However I have no clue how to solve this. The credentials are correct I am sure. On the Internet I read this is happening to a lot of people who use office 365. Maybe a more detailed log can help. Can you please contact Office 365 support regarding the issue? Let us know if you have any additional question.